“I started using Dermetone products in May 2016; when friend gave me a sample of the day and night cream. I was a bit skeptical to try it, but was amazed at the remarkable improvement in the even tone and radiance of my face after just two weeks. Many people began to see the difference and compliment me on my beautiful skin. I thereafter booked a consultation at Laser Loft where my skin was analyzed by a professional staff. I purchased the basic products...and for me there is no turning back. I am now on the full range products, which are so reasonably priced. The in-house treatments are excellently conducted by friendly professional staff who always guide me on the products I should purchase for certain problem areas. They do not entice you to unnecessarily buy a product to boost their sales. “I was told about the Laser Loft by my daughter. When I first came my skin was a disgrace. The Laser Loft staff welcome me with open arms. They are very sweet and professional. I am proud with my face now because of their work." I am very happy with the results of my pigmentation treatments thus far. I am more confident about facing people and not to have to cover it up with makeup. The ladies at The Laser Loft are great…Always accommodating…and ready to offer advice. Melasma is a chronic skin disorder that results in symmetrical, blotchy, brownish facial pigmentation. This type of pigmentation manifests as brown or greyish-brown patches on the cheeks, nose, and forehead. In the early stages appear as freckles and advance into large blotches of hypo- (no pigment) and hyper-pigmentation (too much pigment). 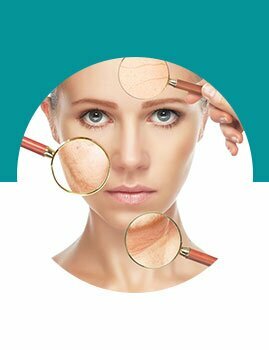 The cause of melasma is complex – but is essentially the overproduction and deposition of melanin in the dermal and/ epidermal layers of your skin. There is a genetic predisposition to melasma with at least one-third of patients reporting other family members to be affected. In most people melasma is a chronic disorder. Melasma can also arise in healthy, non-pregnant adults. •Year-round life-long sun protection. Use broad-spectrum very high protection factor (SPF 30+) sunscreen applied to the whole face every day. It should be reapplied every 2 hours if outdoors during the summer months. Alternatively or as well, use a make-up that contains sunscreen. Wear a broad-brimmed hat. •Use a mild cleanser, and if the skin is dry, a light moisturiser. 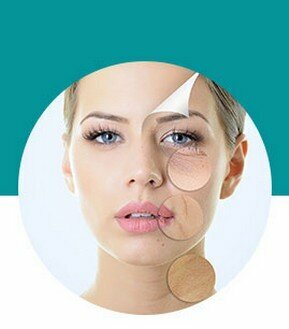 •Cosmetic camouflage (make-up) is invaluable to disguise the pigment. Treatment of this chronic condition requires a very cautious, ongoing and slow approach to prevent any post-inflammatory hyperpigmentation. We, at The Laser Loft, have created the ideal treatment protocol for melasma to significantly reduce the pigment, while leaving the healthy cells alone.